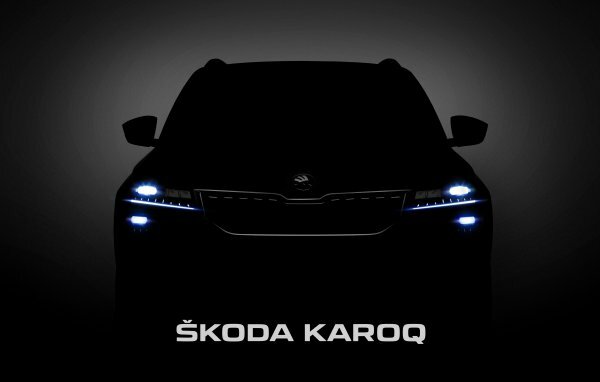 Skoda is set to launch its first compact SUV in India known as Skoda Karoq. The company has released few images of this SUV which we are reproducing below. The Upcoming Skoda Karoq has elegnant and stylish design. The front section will captivate you with a striking three-dimensional design. The radiator grille, framed by a chrome trim, has vertical double slats and creates the trapezoidal cross section. The design of the headlights is inspired by the rich traditions of Bohemian glass art. 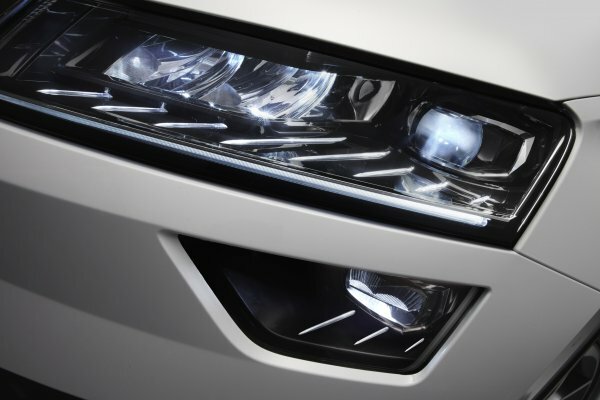 The crystalline cut of the full-LED headlights and the eight light strips that make up the ‘eyelashes’ create a unique lighting pattern. The large Skoda logo is given on the bonnet. 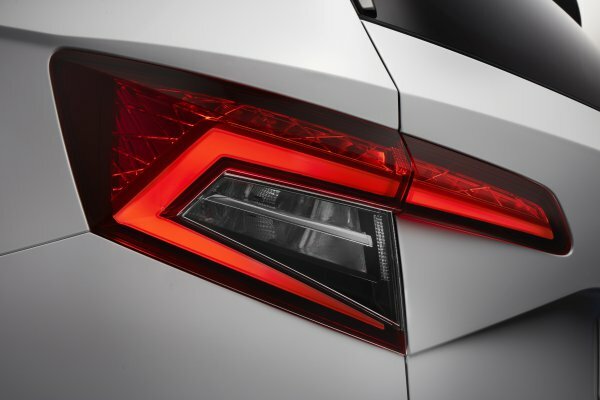 The tail lighting comes with with LED technology which includes the rear lights, brake lights and fog lights. stance on the road. The boot has a capacity of 521 l with the rear seats in place. This increases to 1,630 l with the rear seats folded down. In combination with the optional VarioFlex rear seats, the boot space is variable and can hold between 479 and 588 l.
The VarioFlex system consists of three separate rear seats, that can be adjusted and completely removed individually –turning the SUV into a van with a maximum loading capacity of 1,810 l.
The interior has newly designed dashboard divided into a tall upper and narrow lower section. The four large air vents sit vertically and the middle two flank the in-car monitor. The LED ambient lighting is a further highlight in the generously sized interior. The new compact SUV will be unveiled on 18 May in Stockholm and will be launched in the second half of 2017.